Thierry Hermès was a leather harness maker who set up shop in Paris in 1837. The saddles, bridles and harnesses he made were prized by the rising bourgeoisie of Louis Phillipe’s reign in 19th Century France. Since then Hermes, almost without parallel, has made a business out of selling beautiful items no one needs, as well as items one needs but offered at a price most can’t afford. A necktie for $200 or a silk scarf for over $300 are the entry level items offered by Hermès. 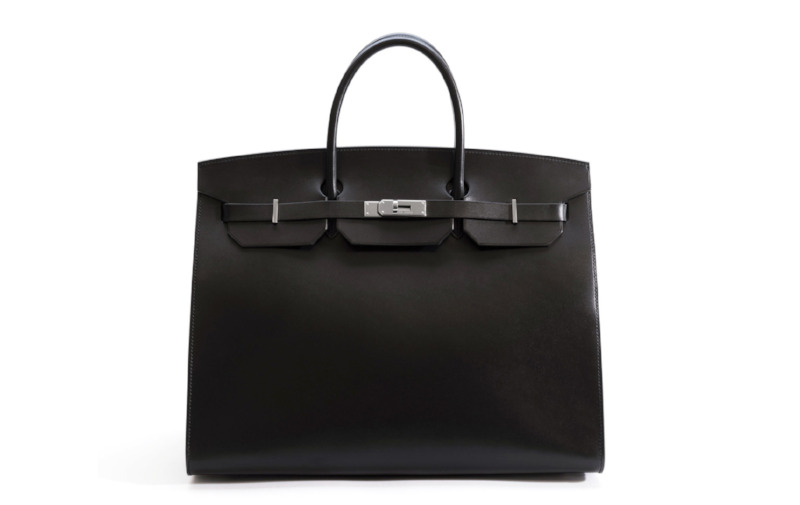 A Birkin bag, named for the British actress, Jane Birkin, ranges in price from upwards of $10,000 to upwards of $300,00; an unidentified buyer at Christie's in Hong Kong spent HK $2.32 million ($300,168) in May for a matte white Himalaya Niloticus crocodile diamond Birkin 30. The myth - despite recent changes in stock, making it easier to get your hands on one - is that the Birkin is never in stock – you can’t get one, unless you can – which increases the mystique all the more. That is one example of how scarcity is used to connote luxury as well as imputing a certain privilege or membership in what seems like an exclusive club (but given the sheer number of Birkin bags made over time, is not). Another important element of the allure is Hermès’ reputation for craftmanship. They still have ateliers where items are handstiched. However, one can not have an international business as large as Hermès and have everything handmade. Instead, Hermès still maintains a made-to-order department for special items. Hermès has a label, petite h, which makes special order items such as the leather interiors for a Bentley, or a Hermèsleather basketball. They recently made a leather boxing weight bag and have entered a partnership with yacht designer Martin Francis to create their own line of branded luxury motorcrafts. If you have to ask the price, best to go elsewhere. However what supports the price is the allure of the craftsmanship. The Hermès label today is presided over by the sixth generation heir, Axel Dumas who has proved adept at juggling scarcity, craftmanship, special order and a more mass market global business. Its ready-to-wear collection is overseen by Nadege Vanhee-Cybulski, who was named creative director in July 2014, leaving the Olsen twins-owned label, The Row, to head up the Paris-based luxury brand.